I discovered a fun new way to apply color to yarn last weekend that I couldn’t wait to share. 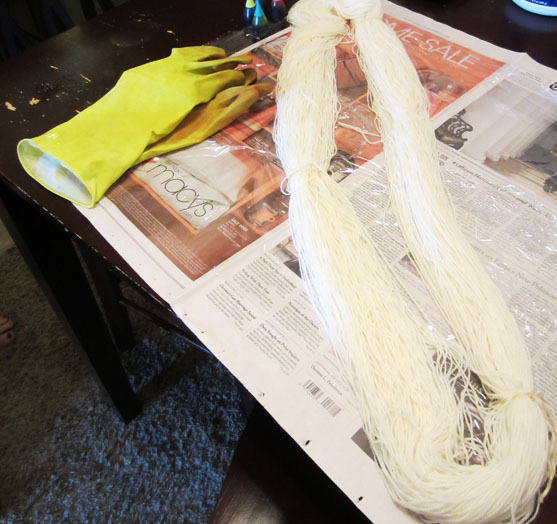 After thirty minutes, wring out your yarn well (but carefully so it does not felt) and place on work surface. 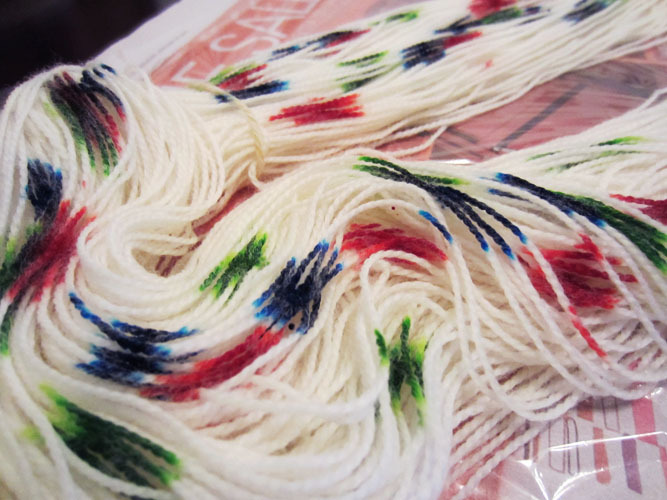 Wearing your gloves, drip food coloring onto yarn in quantity/color combination of your choice. I used all four colors, and quite a bit of food coloring. 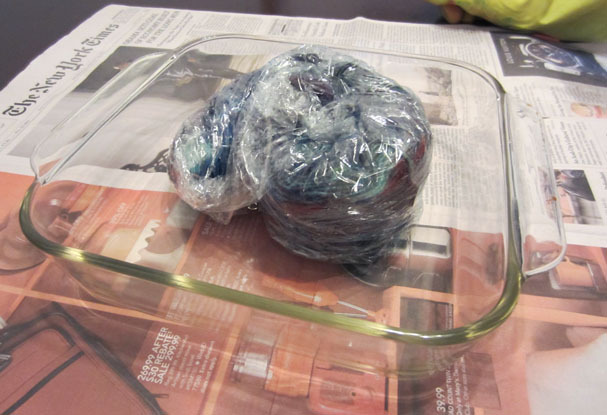 Tip: flip yarn over and separate strands to ensure even coverage. 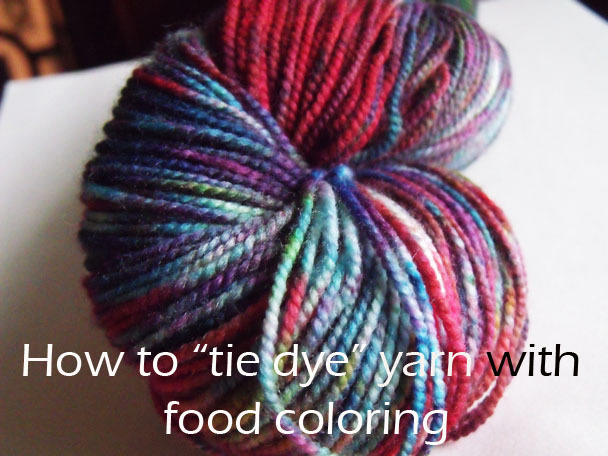 Otherwise, you’ll have color on the outside of your skein and white on the inside. Scrunch your yarn together. Remember, you’ve tied it well, so go crazy. Scrunch and punch. Toss it around like it’s a pizza crust. Knead it like it’s bread dough. The point is to spread and mix the colors. Microwave for 2-5 minutes, depending on your microwave to set the dye. (Mine was perfect at three minutes). 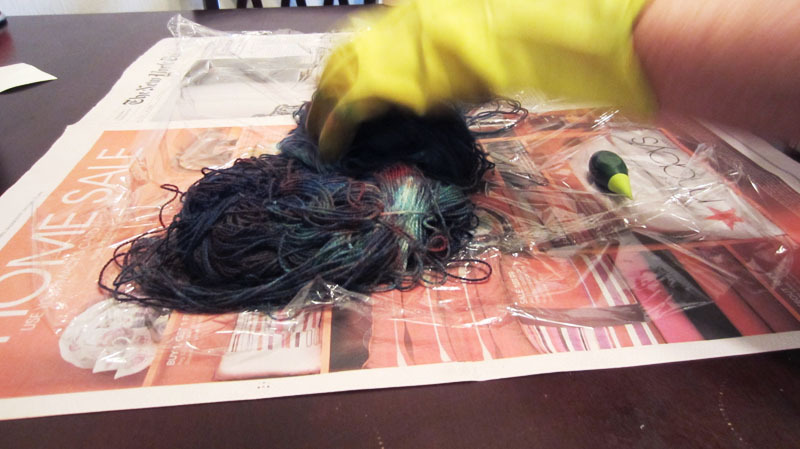 *This method is only recommended with food safe dyes unless you have a microwave and dish completely dedicated to dyeing with professional grade acid dyes. Remove from microwave and allow to cool completely. Rinse in your favorite wool wash and allow to dry. Now you are ready to create away! 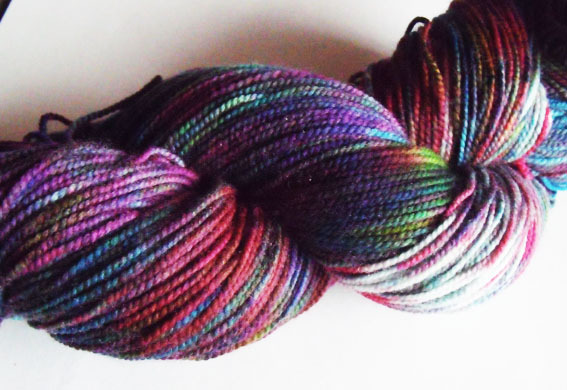 This skein is available now in the Tiny Dino Studios Etsy Shop if you just can’t wait! 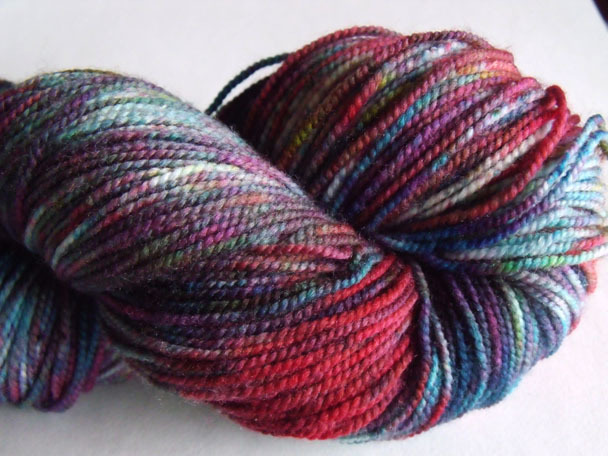 Will this work using acrylic yarn, or does another blend take to the dye better? This will not work with acrylic yarn. Acrylic yarn can’t be dyed, as far as I know. This method will work with any protein fiber–so anything that comes from an animal. Wool, alpaca, mohair, angora, silk, etc. I LOVE this but could you tell me whether this dye is colour fast? Can it be washed on a wool wash, do you know? Sophie, that’s a great question. Most food-safe dyes are not going to be as colorfast as a professional acid dye. 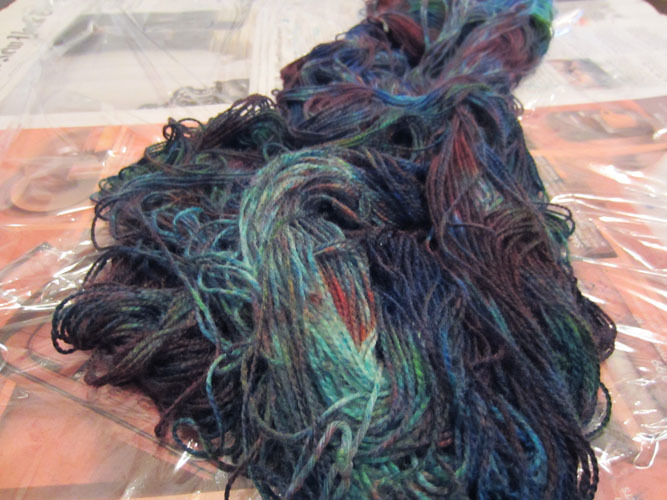 That being said, I have had good mileage with the projects I’ve made with these yarns using wool wash. To hedge your bets, a citric acid soak before hand would probably help with fading.